Over more than ten years of fieldwork, the researchers excavated three new sites in southern Spain, where they discovered evidence of distinctly Neanderthal materials dating until 37,000 years ago. The Middle Paleolithic was a part of the Stone Age, and it spanned from 300,000 to 30,000 years ago. It is widely acknowledged that during this time, anatomically modern humans started to move out of Africa and assimilate coeval Eurasian populations, including Neanderthals, through interbreeding. According to the new research, this process was not a straightforward, smooth one – instead, it seems to have been punctuated, with different evolutionary patterns in different geographical regions. 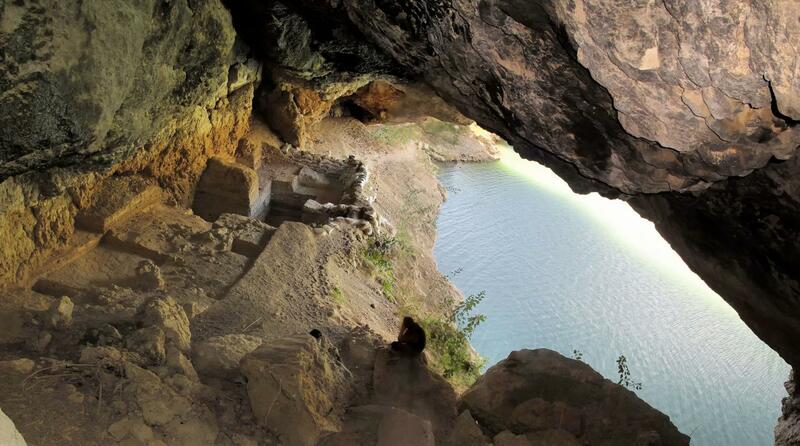 In 2010, the team published evidence from the site of Cueva Antón in Spain that provided unambiguous evidence for symbolism among Neanderthals. Putting that evidence in context and using the latest radiometric techniques to date the site, the researchers show Cueva Antón is the most recent known Neanderthal site. “We believe that the stop-and-go, punctuated, uneven mechanism we propose must have been the rule in human evolution, which helps explaining why Paleolithic material culture tends to form patterns of geographically extensive similarity while Paleolithic genomes tend to show complex ancestry patchworks,” commented Dr. Zilhão. The key to understanding this pattern, says Dr. Zilhão, lies in discovering and analyzing new sites, not in revisiting old ones. Although finding and excavating new sites with the latest techniques is time-consuming, he believes it is the approach that pays off. “Precise dating of the Middle-to-Upper Paleolithic transition in Murcia (Spain) supports late Neandertal persistence in Iberia” by João Zilhão et al. (DOI: 10.1016/j.heliyon.2017.e00435). The article appears in Heliyon (November 2017), published by Elsevier. For a copy of this paper, please contact Victoria Howard at [email protected] or [email protected] In online coverage of this paper, please mention the journal Heliyon and link to the paper at http://www.heliyon.com/article/e00435/. Heliyon is an open access journal from Elsevier that publishes robust research across all disciplines. The journal’s team of experts ensures that each paper meeting their rigorous criteria is published quickly and distributed widely. Led by Dr. Claudia Lupp, the editorial team consists of over 600 active researchers who review papers on their merit, validity, and technical and ethical soundness. All published papers are immediately and permanently available on both Heliyon.com and ScienceDirect.